Apple has reportedly laid off 40 of its Final Cut employees, as earlier reported by AE Portal News. The cuts were apparently focused on remote teams based in the Los Angeles and Austin areas. UPDATE: Also read this later story in which Apple’s Steve Jobs allegedly moves to reassure customers Final Cut is fine. Final Cut Studio is Apple’s flagship product for professional moving image editing and more. Naturally it also fields technologies marshaled within Apple’s Photoshop-killer, Aperture **. The report emanated originally from Adobe After Effects programmer, Pete Warden. While the cuts could represent the end of an upgrade development cycle, as the next version upgrade of Final Cut is likely in preparation even now, Warden’s report reveals one key element that suggests more major losses. Rockwell won’t be a stranger to video pros using the various creative forums to share and gather knowledge (Creative Cow, for example), he has frequently been seen popping up to help customers get to grips with Apple software features. Apple updated its video suite in July 2009. 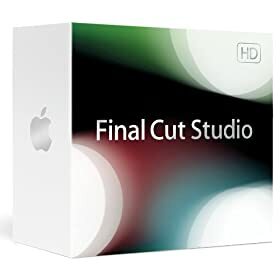 Final Cut Studio is now available at a $159 discount via Amazon, where it currently costs $839.49. ** Some readers note Aperture as is is no Photoshop killer. This is true. It isn’t. The question in my mind is what technologies does Apple already own that could be combined to create a Photoshop killer, if Adobe and Apple can’t find a way to get along? You might want to correct the “Photoshop-killer” phrase ascribed to Aperture. Aperture doesn’t even come close to what Photoshop does. It has some color correction and snipping abilities, but it’s mainly for keeping your photos organized. It’s pretty much a competitor to Adobe’s Lightroom, but it’s definitely not Photoshop. Hey David – ‘course I do see your point, but consider this: Add FInal Cut technologies to Aperture, with a little does of iPhoto and a drizzling of all that stuff already included within Core IMage in the OS, and just how good an image editor do most users really need? I think you are still missing the point about Aperture “vs.” Photoshop. As David pointed out, Aperture is more of a digital lightbox/organizer than an image editing tool. Even Photoshop Elements (the stripped down version) makes iPhoto and Aperture combined look like a toy when it comes to image editing. Your credibility is at stake here. Is it time for you to go and take another firsthand look at both applications? Who are you to tell me my credibility is at stake, as you sit there hiding behind your keyboard? Features don’t make things great, Features people use make things great. I think you’re missing the point that Final Cut integrates technologies for manipulating moving images which could conceivably be repurposed for the manipulation of still images. Aperture as is may not be a PS killer, Aperture PLUS Final Cut technologies could be. You’re being selective in your reading of comment 3. What would be the impact of an Apple-made applicaiton offering Final Cut/Motion etc features for 2D image editing on Photoshop’s market? Be warned, of course, this is JUST AN OPINION. The fact I can see it as something that COULD happen does not mean it WILL happen, nor even that it SHOULD happen, It may never happen. So chill out. (Ill make a change to reflect what you and David are saying though, as that seems reasonable). PhotoShop is in a class by itself. Aperture is more similar to Adobe PhotoShop LightRoom, however. They’re both basically true digital darkroom applications. Sounds like the group decided to consolidate in Cupertino, and the people let go were those who declined the move. I wouldn’t consider that a layoff. I think David, etc. are reading a bit too much into the “Photoshop killer” comment. I don’t think anyone would purchase Aperture INSTEAD of Photoshop. However, the point made here (if I understand correctly) is that most people who use Aperture have little use for Photoshop for 99% of their photo enhancement work. As someone who uses both tools, that’s a fair assessment. Lightroom has similar organization features to Aperture, but Adobe seems to purposely cripple the image editing features in order to not cannibalize sales of the more powerful Photoshop product. He was on the Pro Apps team for awhile though. But that’s picking at nits. Anyone who has tried Aperture 3 seriously will see that for about 90 percent of the photographers out there, Photoshop just became irrelevant, overkill, whatever you want to call it. In that sense, it is somewhat of a Photoshop killer. Aperture 3 is WAY beyond just a lightbox with some maniputlation tools. With the new brushes and curves and dodging and burning, and all the other new additions, it’s one powerful photography tool that for most people could indeed replace Photohsop. All by itself! It certainly became an iPhoto and Photoshop Elements killer. And for most people, Photoshop elements had all the tools they needed, they just wanted the “real thing” even if they had no idea how to put its tools to work. Even Adobe staff seemed to feel that way about the differences with Elements and full-blown Photoshop. But for people like me, who know Photoshop inside and out, and use it to fine tune our images in ways that Aperture cannot, it will work very nicely together. So nobody’s credebility is in question for sure, except for people who make rash comments without putting enough thought into what they’re typing. There is free and very powerful competitor to Photoshop!!! It is ImageJ at NIH!!! What people miss here is that photographers were late to the Photoshop game. Originally Photoshop was image editing primarily for PRINT production. Digital photography was the LAST link in pre-press to make the scene. Photoshop was all about working with scans of conventional photography. With Illustrator first (Frrehand fans relax, I’ve heard it all before) and then Photoshop, Adobe created (Yeah, I know, they bought Photoshop) the best graphic apps. I agree with Steve, they have gotten lazy. I used to think they were one of the best software companies out there. Great products, good support. What happened? If only they would re-embrace the Mac, everyone would be happy. Hey, can’t we all just get along? I just wish, as a lot of people do, that Apple would just buy Adobe and put it out of its misery. As a longtime PS user (as a photographer), I’m really impressed w/ Aperture3. However, it has huge issues importing DNG files with corrections, and a potentially big metadata problem for pros. See David Rieck’s Controlled Vocabulary list (Yahoo Groups) – “Aperture 3 appears to be a metadata train wreck waiting to happen” and other A3 threads on that list. As others have said already, A3 is great for 90% of photographers. If you have a large library of images, you may want to stay away from A3. If I am getting the product and I dont like it how soon do i return it? Pingback: ??M9???? » ??? ??????MacBook????4?‘11? It can be a nice and handy little bit of data. Now i am grateful that you provided this helpful details around. You should keep us advised in this way. Many thanks for spreading. You did not comment on this hudson?